Are you struggling with productivity? Do you feel that there’s just too much on your plate? 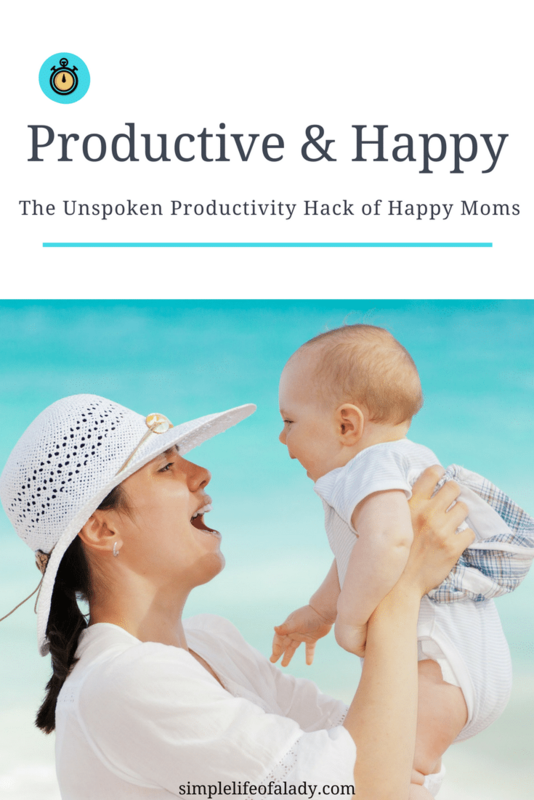 What if I tell you that, there is ONE very important tip that can skyrocket your daily productivity and increase your happiness at the same time? You wouldn’t believe it, but you may have already heard of this tip before. You just never thought how much it could help you create better days. Now is the time to really notice. There are always a lot of things needed to be taken care of at home. If you’re anything like me, sometimes you feel like you’re not getting anything done on your to-do list. It doesn’t help either when at the end of the day, you feel like you have accomplished so little. Then you keep looking for tips on how you can make your week super productive. Chances are you have already landed on so many articles on productivity hacks, tips and tricks. You have tried many of them too! But you need more. You feel like there is something you have been missing all along. The magic sauce of productivity. And you’re thinking this could be it. Why not give it a try? When can you say that you have been really productive? Is it when you have checked off everything in your to-do list? Or when the dishes are clean and there are no clutters in the living room? Or maybe when you have completed that project you have been doing for weeks? Or when you have finished that article for your blog and your pins for your Pinterest account? That’s how I’ve been measuring my productivity. That is… until I landed on a comment from a mom in one blog post . Her name’s Rachel, by the way. Let me quote here what she wrote in the comments. Wow! What a great way to measure productivity! And an honest feedback to me that I’ve been measuring productivity all wrong, all this time! I’ve been evaluating it by the tasks completed, always. This Mom showed me that there is a better way. Here are three Biblical principles that show us how God sees productivity and how He measures it. 1. God defines productivity as doing good works. Good works in the Bible do not only mean good deeds. They encompass everything that is honorable and pleasing to God’s eyes. So how about taking care of your household as a homemaker? Let’s take the example of the much admired Proverbs 31 woman. Wow! This woman does know how to take care of her household. She sure knows how to be productive. And though she does many other things, she makes sure that her family is not left out. So take care of your family with gladness. It is pleasing in God’s sight. It is productive! 2. He cares about what you do and how you do it. And He is your Ultimate Boss. Whatever you do, God desires that you do it for Him. So when you cook delicious meals, do the laundry, wipe the kitchen counter, wash the dishes, sweep the floor, nurse and teach your children; when you serve your family, think about these verses. Know by heart that when you do these for your family, you do it to God too. When you see your husband and your kids smile, know that God is also smiling at you. Whatever you do for your family, even if it’s not appreciated sometimes, God sure sees it. So don’t think that you are wasting your time on useless chores, because these all matter to God, no matter how mundane or simple these may be in your eyes. 3. Productivity is not mainly about getting stuff done, but getting the RIGHT stuff done. Our culture tells us that we should use our talents for our fulfillment. While it does feel fulfilling when we use our talents, self-satisfaction is not the main reason these were given to us. Instead, we are commanded to share it to other people who need them. We are to be good stewards. How do you use your skills and your talents? Perhaps you feel like you will be able to serve more people with your gift, but most of the time you are confined at home to take care of your kids. Well guess what? These kids have just one mother. There is no one more capable of doing your job of raising them than you. Giving them the best of your time and energy is definitely the right stuff! So what’s this little secret I’m talking about here? I know I’ve kept you for too long already but I just have to emphasize all of that before giving you away the most important productivity trick, because that’s all connected to this. Now if you clicked the link in the blog post I mentioned a while ago (where I found the comment I’m talking about), you may already have an idea of what’s coming. These Moms start their day with a prayer and Scripture reading. I know. Many articles on productivity do not include it in their lists. Yes, they talk about a morning routine. How you can customize it according to what makes you feel happy and comfortable. But only a handful of bloggers strongly suggests that this morning routine starts with a prayer and Scripture reading. 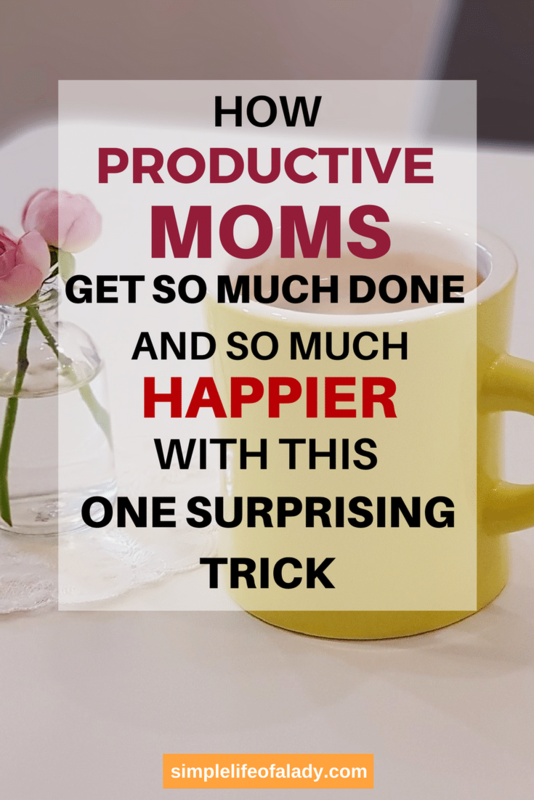 These productive and happy moms do this before they do anything else. Before they check their to-do lists. Before they do that 15-minute exercise, or prepare breakfast, declutter, do the laundry, write the blog post. They turn to God first and spend time with Him. He is their first priority everyday. 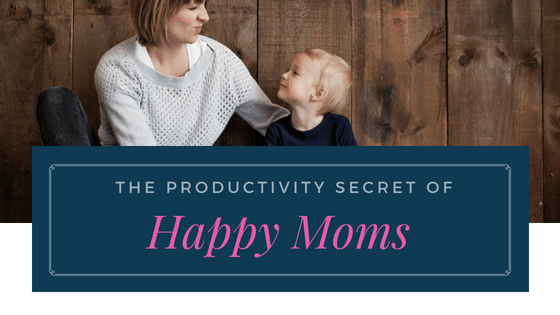 Because these Moms know that God defines productivity way a lot different than we do. Praying and reading the Scriptures give them the right perspective to go through the day – with the right purpose, and with the right intentions. For example… you may have already read that to be productive you have to say No? I can already hear your head saying , I wanna be like that too! Don’t get me wrong. They do know how to say No. But just like what this Mom said in her comment, they are also willing to reframe their priorities if the need arises. So I guess we shouldn’t be surprised when one of these days we observe Moms who are NOT saying No very often, yet we see them happy and glowing at the end of the day. It’s because they have put their attention, their energy, their time to the right things. They were true to their purpose, to their calling, even if they did not check off all of their to-do lists for the day. As a matter of fact, they do not measure productivity by their to-do lists. Yes they have to-do lists. But they also know that life is way more than that. Their lists serve as their guide, and just that, a guide to help them and serve them, not them being slaves to their to-do lists. So these moms have no regrets when the day ends. They know that they have spent it the right way. They feel satisfied and happy. They know that they have pleased the Lord, and that is enough to give them so much joy! All these because they spent the very first few minutes of their day with Him. They may have not accomplished everything. But they have done the most important. Determining which things to say Yes or No to is not easy all the time. This needs discernment. Without God’s wisdom, you may be pressed to simply join the bandwagon and waste your precious time on things that won’t really matter in the long run. Moms who have a daily prayer routine find that waking up before the rest of their family wakes up, is the best time to cultivate a daily quiet time with God. Waking up early is not easy. But it’s really the best time of the day when you can be sure that you won’t be interrupted. The Bible also places a lot of value on waking up early to seek God. So whenever possible, get up early to pray and read the Bible. Whatever your morning routine looks like, start it by praying and reading the Scriptures. You don’t need an hour or two for this. You can start with a 15 to 30-minute early morning quiet time. Just wake up 30 minutes earlier before your usual waking time. At first you might find this challenging to stick with. But once this habit is formed, it will become second nature. Experts say that it takes 21 days to develop a new habit. So try it for the next 30 days (it’s good to have a little allowance) and see the difference it makes in your morning and to your day as a whole. If this is a real struggle for you, and you are not sure of how to incorporate it in your daily routine, or you simply want to have a glimpse of how your morning will look like with a daily prayer and Bible reading time, check out A Virtuous Woman and download A Simple Morning Routine guide for FREE. Just scroll down closer to the bottom of the website where you’ll find this. You will also find a lot of helpful articles there about creating morning rituals. These resources should be enough to get you started. 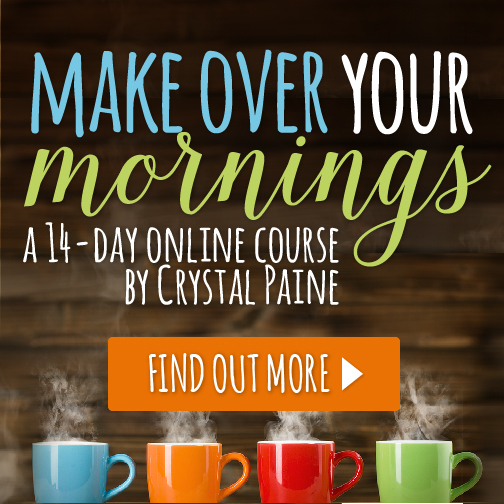 If you feel that you need to take creating a better morning to the next level, check out Crystal Paine’s Make Over Your Morning course. It’s a 14-day online course with videos, workbook, and daily projects which you can immediately apply. How did you find the article? Will you give it a try? Feel free to leave your comments. IF YOU LOVED IT, THEN TAKE A SECOND TO PIN IT! SHARING IS CARING! The Pomodoro Technique: Will It Really Boost Your Productivity? I’m not religious at all, but I found your take on productivity very refreshing. Centering yourself and focusing on bigger things can be applied daily, regardless of your religion.